The National Weather Service is predicting a major storm for our area this weekend. Since at Sentry we’re in the business of safety, thought it would be timely to share some thoughts and tips on staying safe this winter. First, let’s talk driving. Let me see a show of hands. Who reading this blog thinks that winter driving is the same as driving at other times of the year? There better NOT be any hands up out there. Winter driving carries with it a unique set of challenges. And yet how many how many of us have experienced the nail biter, demolition derby, knuckles clenched on the steering wheel situation because some people don’t think the rules apply to them? We’ve all been there. Consider this – an ordinary driver reacts to road situations while a good driver anticipates them. Here’s some great advice from Car and Driver magazine on winter driving. Be prepared for delays on the highway; give yourself extra time to get to your destination. Make sure your windshield wipers work, the gas tank is at least half full, tires are properly inflated and have enough tread, and windows are clear for maximum visibility (not like the people who scrape out a small circle on the driver’s side windshield and head out onto the highway). Don’t brake at the last minute. 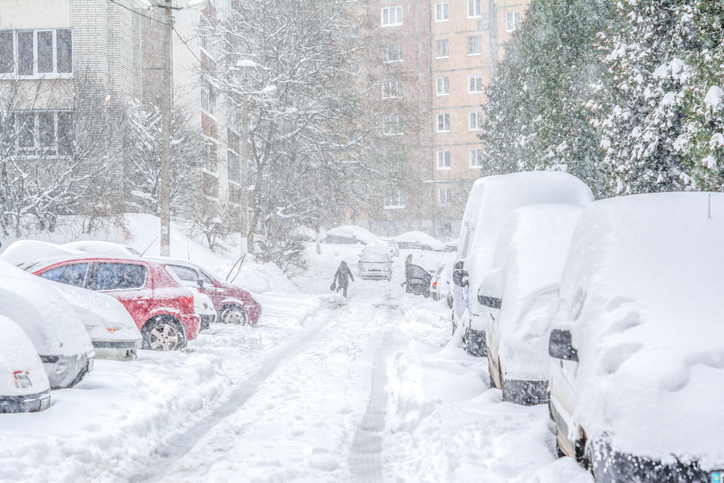 Have a winter weather safety kit prepared for your car – warm clothes, blanket, food, water, cell phone charger. And don’t forget your home. In many bad weather conditions, structures are damaged and electric power is lost. Make sure you are well stocked with food, water, medication, flash light and first aid kit among other items. Keep rock salt and kitty litter on hand for icy sidewalks and driveways. The rock salt helps melt the ice and the kitty litter gives temporary traction. If you must be outdoors, dress appropriately; wear several layers of loose fitting, lightweight warm clothing rather than one layer of heavy clothing. Mittens are warmer than gloves. Don’t walk with your hands in your pockets. Why? It increases the risk of falling or completely losing your balance if you slip while walking on snow or ice. Here’s an interesting way to keep yourself upright on slippery surfaces – walk like a penguin! Spread your feet out slightly and take small steps. The waddle keeps your center of gravity over your front leg and will help you stay upright. Who knew?